You may not realise this, but The Netherlands are quite a haven for those who care about their stomachs. Our sweets and cheeses are good, but did you know there’s more to enjoy? 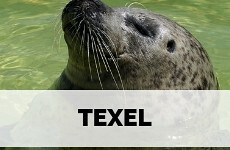 The east of The Netherlands is famous for its game, while the province of Zeeland is the cradle of some of the best produce in the country. 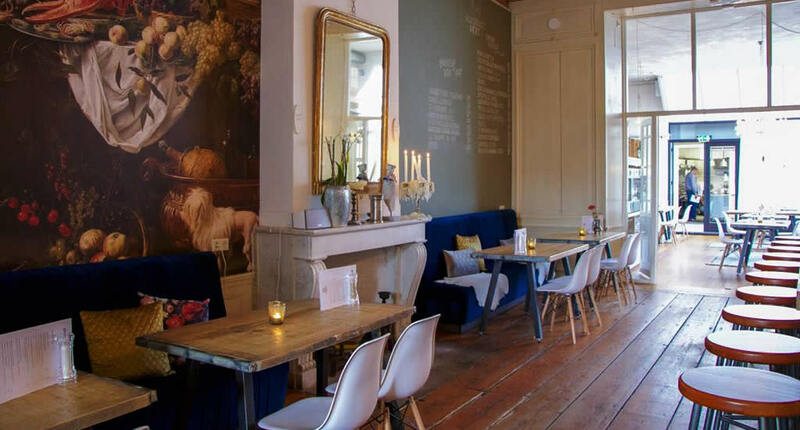 So it’s no surprise that its capital Middelburg is quite the culinary gem. 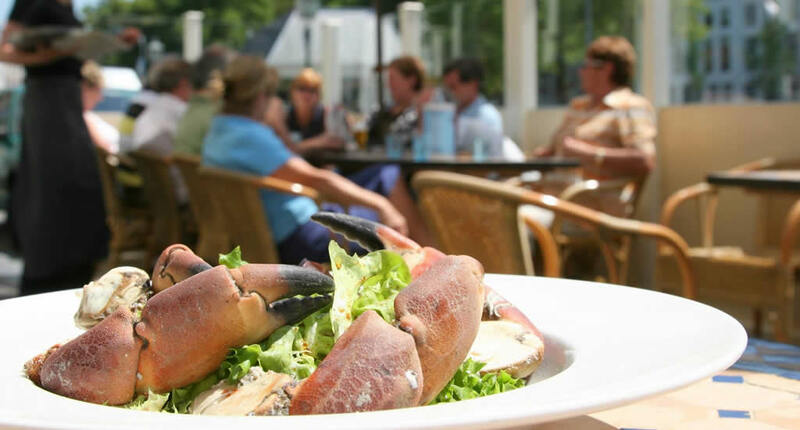 Oysters, mussels and fresh fish are a given when in Zeeland, so close to the sea. But the salty sea air has more in store as it is this air combined with the most hours of sun in the country that are the perfect ingredients for wine. Yes, Dutch (award-winning, I might add) wine, I bet you never thought of that. 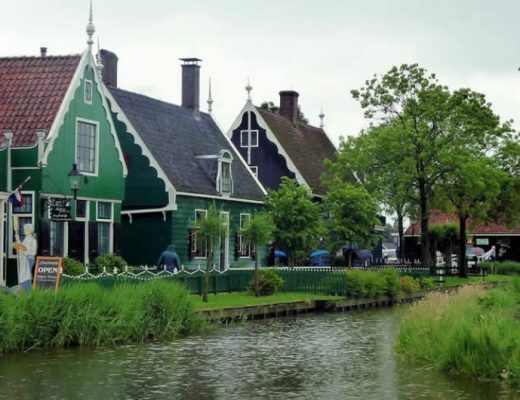 Add to that the many cheese farms and breweries and you just know you’ll be in for a great culinary feast when visiting Middelburg in Zeeland. I grew up not too far from Middelburg, yet I never visited. But when I did, my my, was I in for a fantastic surprise. 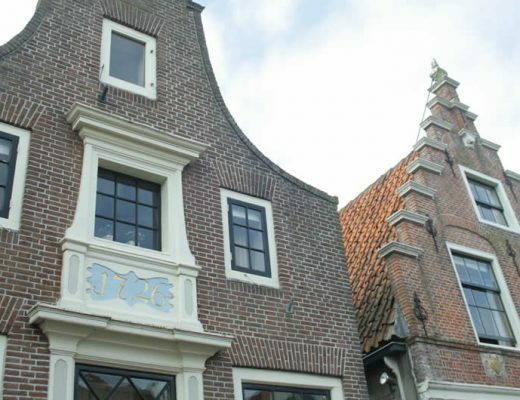 Middelburg was a hub for the Dutch East India trading company in the Dutch Golden Age, resulting in the city being a rich place where exotic spices, excellent wines and Port, silk and other trading goods were pretty common. This wealth is still pretty visible when wandering along the historical streets. 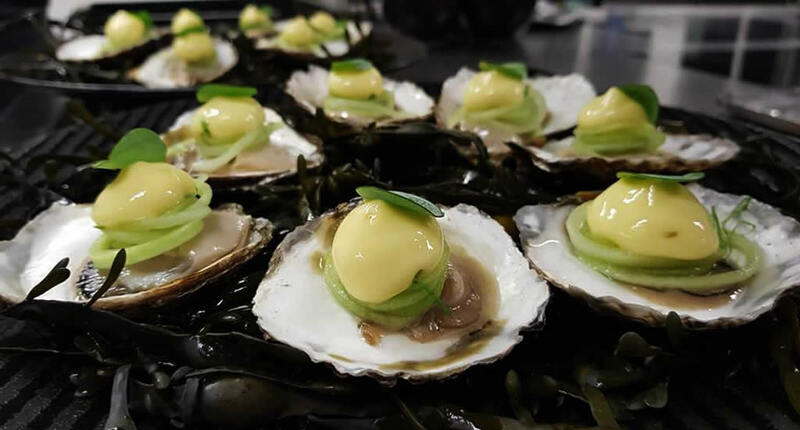 I feel that the rich soil, the sea air, the oyster banks and mussel farms combined with a history of rich herbs and spices has resulted in restaurants in Middelburg being just that bit more adventurous while at the same time celebrating what’s close to home. 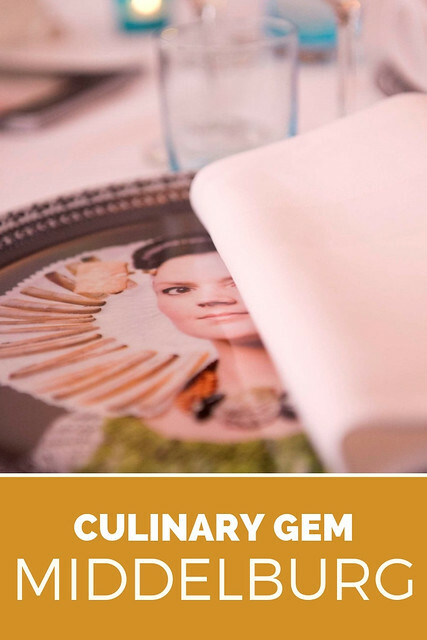 During my weekend break in Middelburg, I feasted myself, a couple of times over and was able to extract my 10 favourite cafés and restaurants in Middelburg. Go on and try them. The perfect place to kickstart your day with coffee and breakfast or go for a well-deserved coffee break with cake. 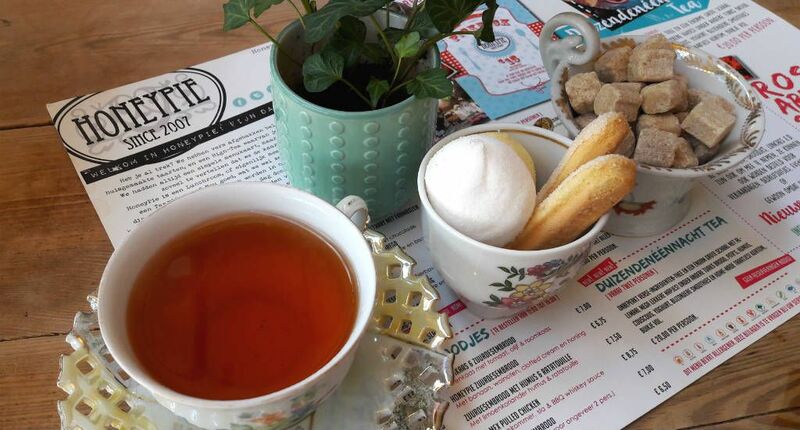 Honeypie is situated just outside the old city walls and locals love to go there. I can see why, as it’s much more than just a café. 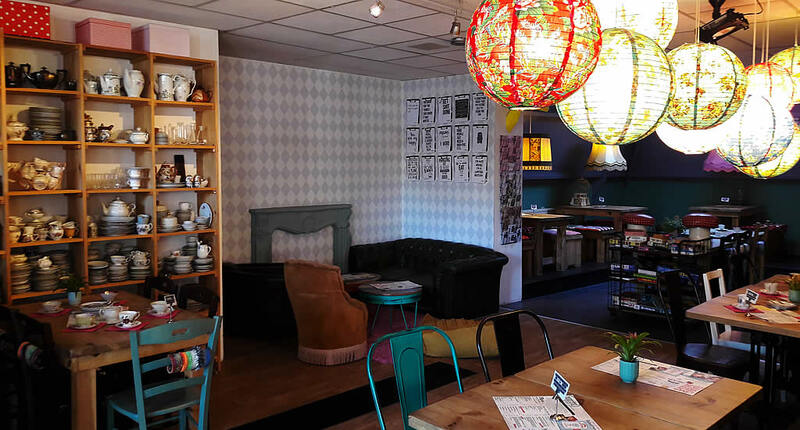 You can grab some knitting and work on a communal scarf or just sit and read while you consume the best cakes, ever. Apparently, we all need some vitamins every now and then when travelling (though why we can’t just live on oysters alone, is beyond me). So pop by Juice junkies when you have the chance and order yourself a healthy green juice or a smoothie made from local ingredients. A policeman turned barista. That’s pretty much the story behind Expresszo. Owner, and ex-policeman, decided to turn a gorgeous abandoned building on Pottenmarkt into his own coffee heaven. His mother makes all the cakes. Also, try the homemade juices and lemonades when you have the chance. 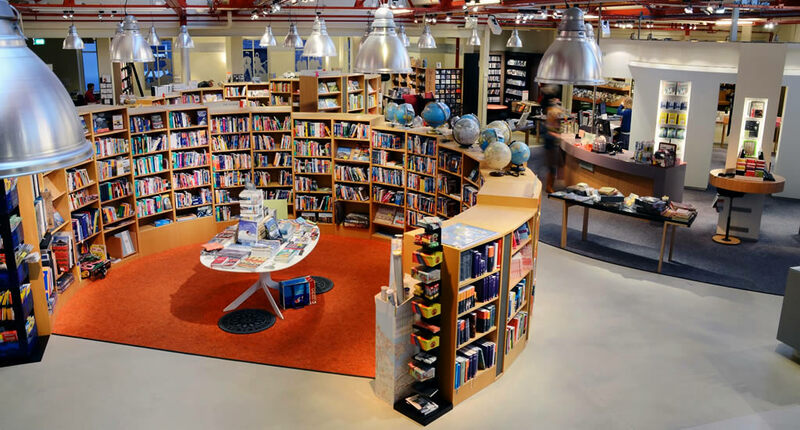 I have this thing for special bookshops, and especially bookshops that are also cafés (read my article on Amazing bookstores in The Netherlands for inspiration). And Drvkkery in Middelburg is right at the top of my list. Basically, this bookstore is set in a beautiful old building facing the pretty market square. The books are set up in half circles around a café area where they serve the best sandwiches, quiches and salads. A great place for lunch, while you bury yourself in your newly acquired novel. What would we be without concept stores these days? 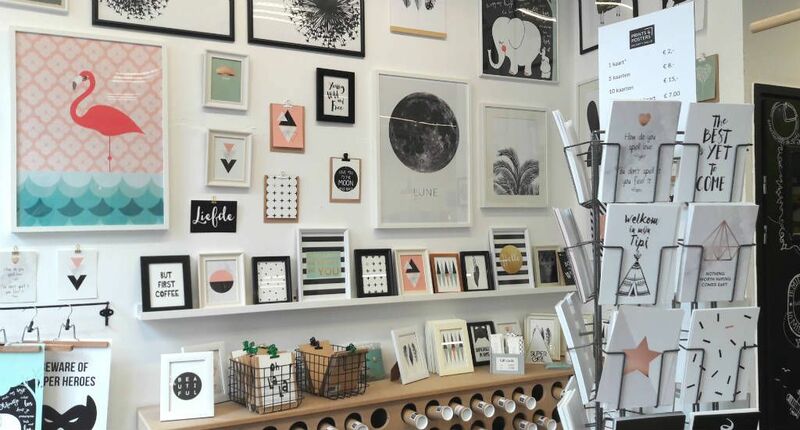 I simply love InMiddels as it’s the perfect combination of fun must-haves, like posters, stationery, jewellery and a snug corner to have coffee and cake. Freelancers also love this place to work, making it even more appealing to me (as I often travel by myself for work, and these places are perfect havens). And if you have a bad hair year, get a haircut in the back while you’re at it. 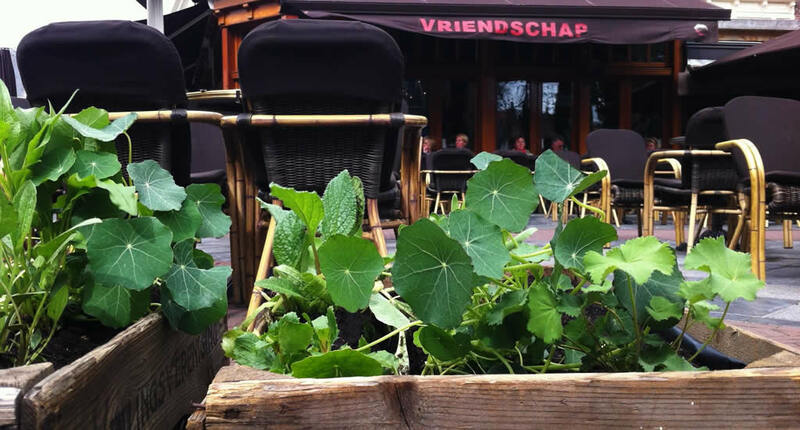 Vriendschap means friendship in Dutch and this warm and wonderful restaurant is near the market square of Middelburg. But it’s much more than just a place where family and friends can hang out and catch up over a meal. Most of the produce, used for all the dishes, is grown on the roof terrace of the restaurant. 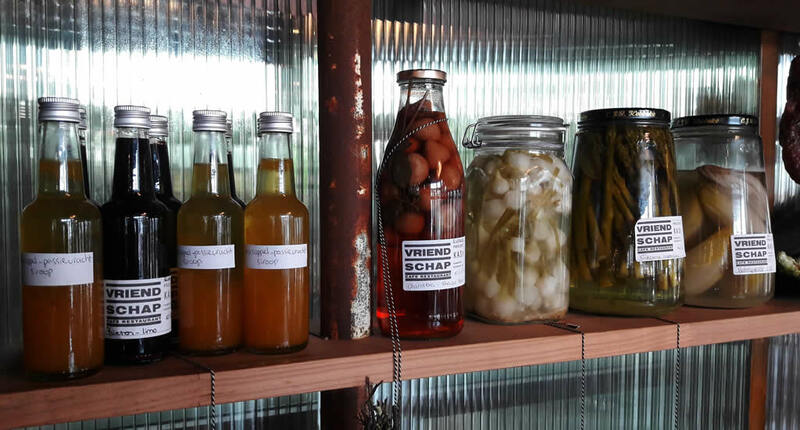 Vriendschap doesn’t want to spill any food and a lot of fruit and vegetables are pickled and kept, as you can see from all the preserves on the shelves in the back of the restaurant. It’s also the perfect place to sample some local craft beers. Vegans and conscious eating will definitely like the concept behind Imagine. The owners (of course) named their business after John Lennon’s song as they not only wanted to open a shop and café, but also leave the world a little better and a little cleaner. Their dishes are made with local produce and tell costumers where the products they’ve used come from. In the back of the café you’ll find a shop that sells local produce without wrappings, to save on plastic and packing material. Imagine is famous for its soups and seasonal salads. 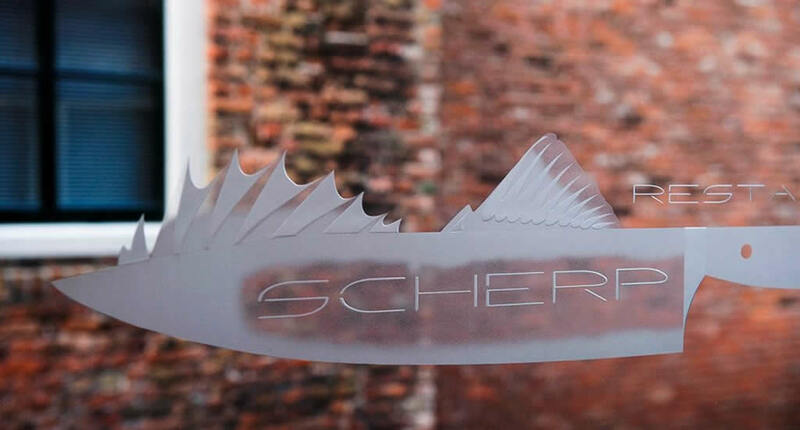 I still feel like making an apology to the staff at Scherp for making ‘nom nom’ noises all through the three courses I had, as everything was simply so amazing. I tried a glass or two Schouwen-Druivenland Blanc+, a dry white wine that is made just around the corner at vineyard De Kleine Schorre. It has just a hint of salty sea air, making this a perfect wine to have with seafood. 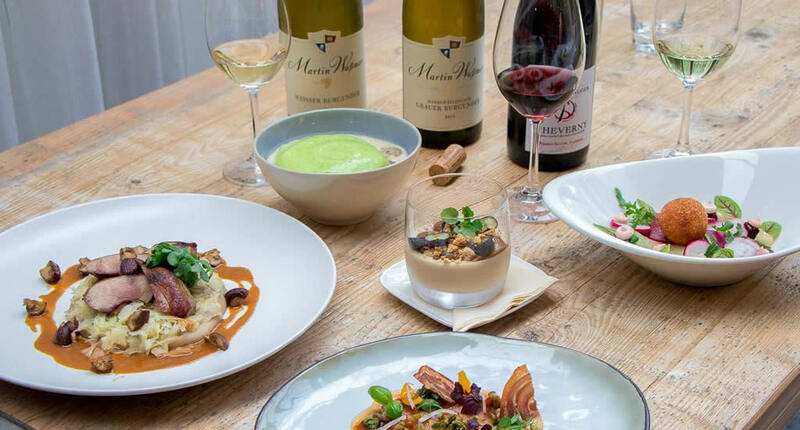 I am not the only one impressed by this wine, as Dutch airline KLM has chosen Schouwen-Druivenland Blanc+ to serve with their business class menu. But back to the restaurant and the food now, as both the setting and the menu are a perfect mix of tradition and modern. The Taste of Art crockery has pictures of modern women in traditional dress and looks absolutely stunning. As do the dishes of razor shells, oysters from Zeeland (Zeeland flat, creuses and Dutch imperial oysters) tongue and sole. I tell you, I had to refrain from licking the plate (I do pretend to have some class). 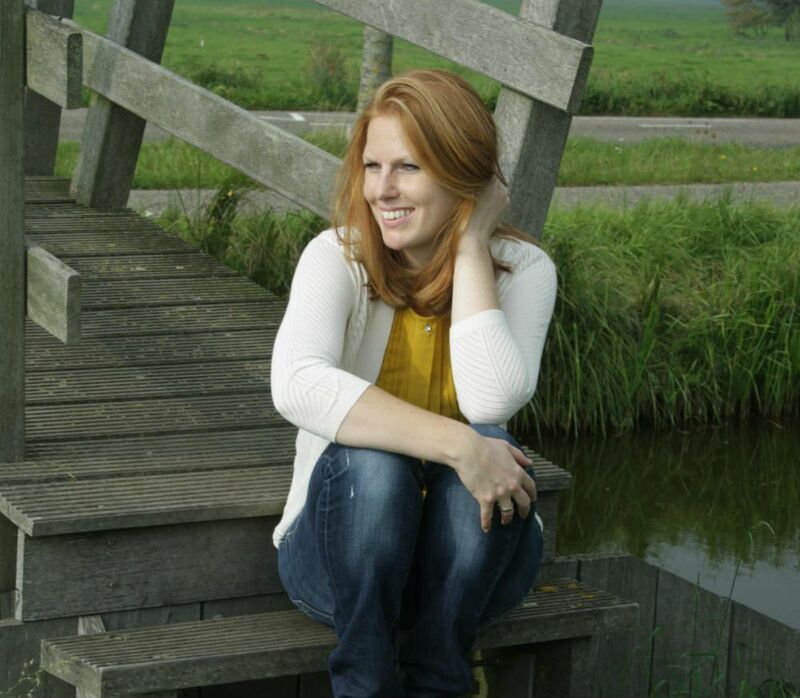 This restaurant is set on a beautiful historical spot and run by chef Martijn and his wife Michelle. The food is honest and beautiful. Martijn only works with produce that is in season and that is for sale at the daily market. Now, that’s how I like it. I especially recommend visiting during lobster season when the most amazing lobster dishes appear on the menu. A restaurant, wine bar and wine shop all rolled into one. What’s not to love really. 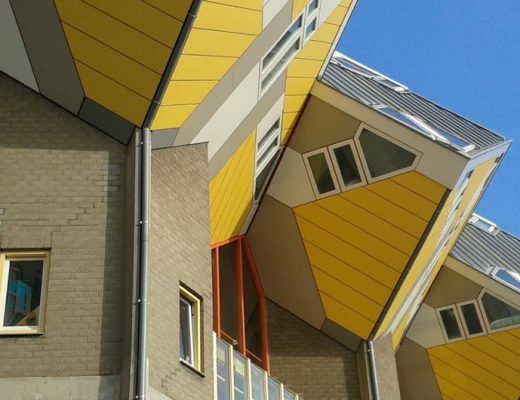 Vliegendt Hert opened its doors in 2017 and is already extremely popular, and I so get why. The setting is perfect in a house dating from 1575, a little majestically but modern. All dishes look clean and bright and taste just as intense. And don’t get me started on the wine! There’s a direct train from Amsterdam to Middelburg. It will take you close to 3 hours to reach Middelburg. 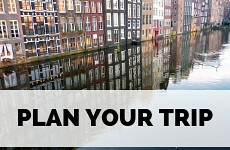 Plan your journey through this website. You can buy your ticket at the station. 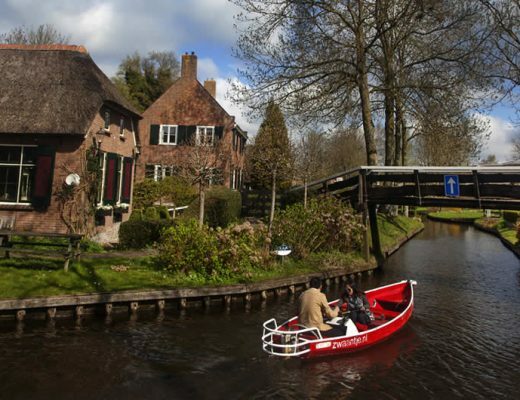 Since it’s quite a long way to Middelburg, I recommend you stay the night in Middelburg. I had an amazing time at The Roosevelt (yes, the Roosevelt’s were from Middelburg originally and their connection to the city is still very strong). This boutique hotel has amazing rooms and a great restaurant, I really enjoyed my breakfast there. And I wasn’t the only one, the Dutch royals also like to stay in this hotel. 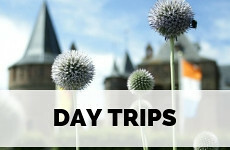 If you’re curious about Middelburg, check out 7 things to do in Middelburg, The Netherlands. 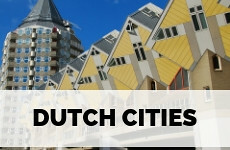 Plan your complete trip using my complete city guide Middelburg. These all look suuuuper cute! My two favorite things in the world are coffee shops and bakeries. I could spend an entire vacation just popping in and out of each one. Would love to visit all of these! By the way – I’m trying to figure out what’s going on in that first photo… Are there actually pieces of cheese on the plate? Or are my eyes playing tricks on me?? It looks like the woman is popping right out of the plate! Oh I hear you, I have a thing for book cafés myself!! Thanks for stopping by! Ugh that cheesecake is giving me hunger pangs. I ate my heart out when I was in Amsterdam last year and would love to do that again, in more of the Netherlands like Middelburg! Haha! I think so many people are surprised by Dutch cuisine as they can’t really imagine what it’s all about before they get here (do The Netherlands have ‘a cuisine’ at all?) and then get totally blown away by the beautiful produce and lovely signature dishes we have! Lot’s of stuff sounds and looks really delicious. 🙂 When I was in the Netherlands it was really hard for me not to eat all the time, haha delicious food was everywhere. Omg, I shouldn’t have read this on an empty stomach. Everything looks so amazing and delicious. I love good food, so I am sure I would love Middleburg. Your photos are making me hungry. So many adorable places, although the book shop cafe is calling me the most. I also love the story behind the police officer’s cafe. 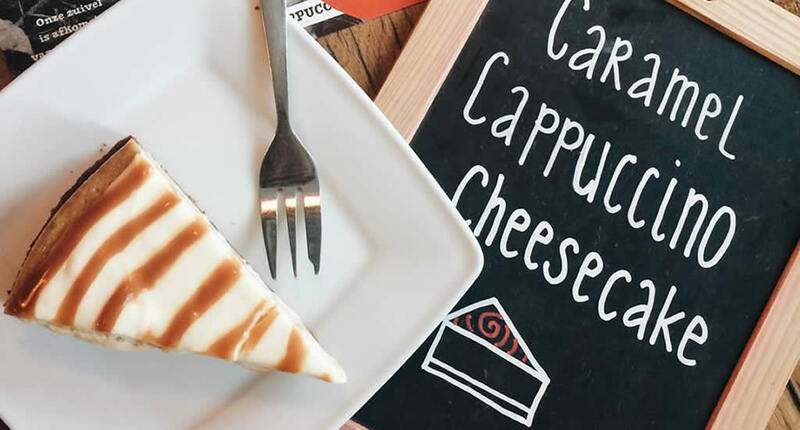 Oh, that caramel cheesecake! My mouth is watering. I would also check out Imagine, as I don’t eat meat — sounds like the perfect place for me! We are completely on board with the bookshop cafe idea! Nothing better. And also with the habit of audibly enjoying a great meal! 😉 Sherp sounds fantastic, but also De Gouden Bock sounds like our kind of place, with it’s fresh menu. So much great stuff here – we’re taking notes AND pinning this for later. 🙂 Thanks for linking up with #TheWeeklyPostcard!